AutoCheck Certified Accident Free! One Owner Vehicle! All Wheel Drive! SLT Package! Navigation! Heated Leather Seats! Power Moonroof! BALANCE OF FACTORY WARRANTY & LIFETIME POWERTRAIN WARRANTY INCLUDED! 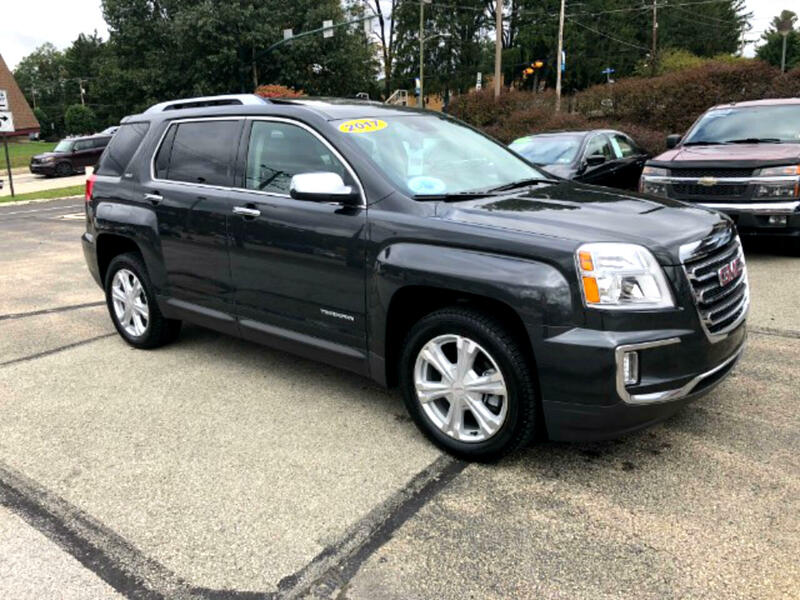 Don't miss out on this fantastic GMC Terrain SLT all wheel drive suv! With it's 2.4L 4 cylinder engine matched with a 6 speed automatic transmission, this GMC Terrain SLT all wheel drive suv gets an EPA estimated 28+ MPG highway! Go anywhere in any type of weather with it's all wheel drive system! Very well equipped with power windows, power locks, power mirrors, keyless entry, AM/FM/CD/SAT stereo, Navigation, back up camera, Bluetooth, premium alloy wheels, dual power heated leather seats, power moonroof, power rear lift gate and MUCH MORE! BALANCE OF FACTORY WARRANTY & LIFETIME POWERTRAIN WARRANTY INCLUDED PLUS 1 YEAR MAINTENANCE PACKAGE INCLUDED! See salesperson for complete details. Give us a call today at Choice Auto Sales for your personal showing and test drive of this fantastic GMC Terrain SLT all wheel drive suv!